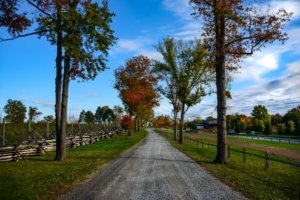 Established in 2012 and located adjacent to the Manassas National Battlefield Park, The Winery at Bull Run is known to be the largest working farm in Fairfax County. Winery owner Jon Hickox plans to continue achieving his dream of becoming a full-estate winery by investing $1.7 million dollars in efforts to double the production of the winery. In mid-August, Mr. Hickox was awarded a $100,000 grant from the Virginia Governor’s Agriculture and Forestry Industries Development Fund. Fairfax County will also fully-match the State’s $100,000 grant. The winery’s expansion will generate upwards of 38 new jobs, as well as stimulate the local economy as part of a $1.37 billion industry in Virginia. LDC is proud of its history with The Winery at Bull Run and plans to continue assisting Mr. Hickox with additional land development services in his efforts to expand. Our previous work on this project has been diverse. Most recently, we prepared a Master Landscape Plan which included improvements to circulation of the main entryway, production barn, as well as public and private outdoor gathering spaces.